The last ten days have taken us from freeze to flood. A couple of days after producing the Woodcock and Gadwall, it was even colder and the Decoy Pond was half-frozen. As well as even more Gadwall – at least 11, probably more – swimming around near the reed fringe was a Little Grebe – my first for the patch. Milder weather pushed in the following day and normal service was quickly resumed, with none of the unusual birds being seen again. A look along the game cover at Firle Bostal on 15th was unremarkable except for a Stoat crossing the bostal road and two or more Reed Buntings heard amongst the maize. This is the only regular spot I know of for them in Firle. Persistent rain came during the following week, and the ground was already so sodden that it quickly collected on the surface. There are fields around the village that I’ve never previously known to have puddles which have them now, such as the school football field and adjacent scrub, and the arable field opposite New Elms Barn. The walk through the nature reserve, normally a reliable option for a wet day, is soaking all the way around. 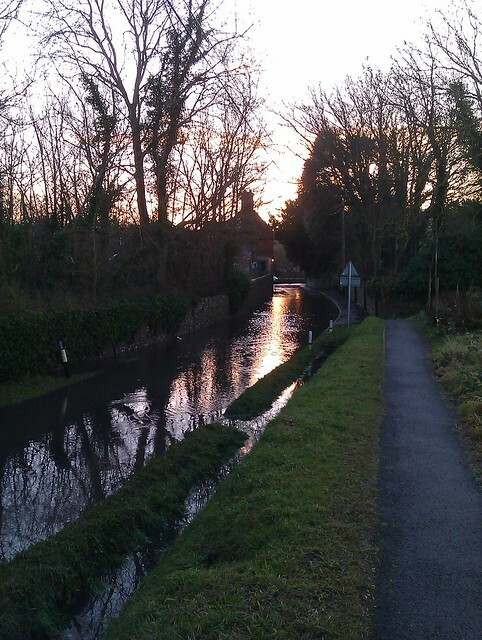 Most obviously the road near The Ram has a few inches of water across it and has been fun to drive through (for those that have realised that it’s not too deep – I saw a couple of cars just turn around and go back out of the village today). 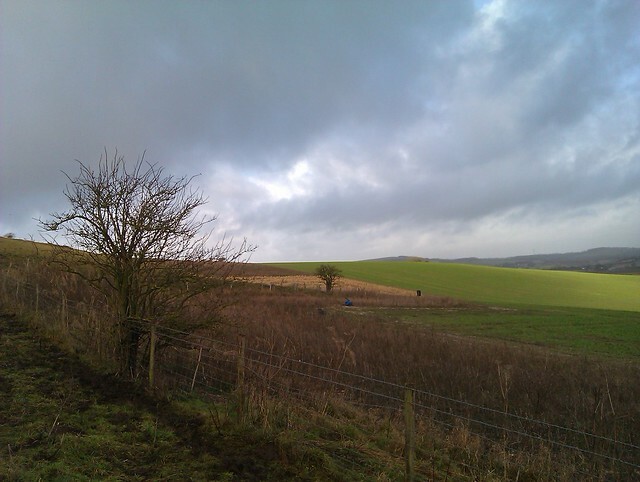 Unlike the cold, rain doesn’t appear to have a very interesting effect on what you’re likely to see around the village. Grey Wagtails continue to frequent the stream in the Park, and there was another at New Elms in the week – is this one of the Park birds, or a different wintering territory? On the corner there today there was a decent flock of around 50 Chaffinches hopping around the ploughed field. And Firecrest records had petered out late in the autumn, but I’m pretty sure there was one calling briefly in the garden this morning.